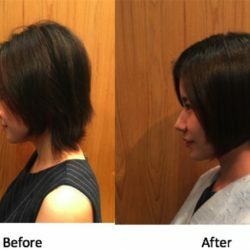 Enjoy an authentic Korean haircut experience in Singapore without going to Korea! Recently, we invited one of our loyal readers Quinn, to experience a haircut at the 10-year old Korean hair salon, Jiwon, which is famous for their "handsome Oppa" hairstylists! 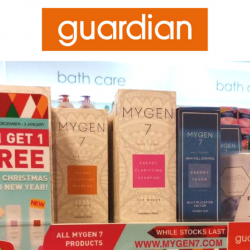 Till 31 Dec 2017 Mygen 7 Hair Fall Shampoo: FREE Trial Pack + Buy 1 Get 1 FREE Promo at Guardian! With the stress everyone is facing everyday plus an unhealthy diet, hair loss is now an increasing trend faced by both men and women. Just the other day, a good friend of BQ who is just in her 30s, complained that her hair is falling out so much due to her stressful job. She has tried many hair loss shampoos, expensive ones, but her hair loss condition didn't improve. Now with this product from Mygen 7, with the new formula containing the World's First Energy Patented Water, her problems will soon be a thing of the past!